There was a lot of commotion coming from Poppee’s tent. 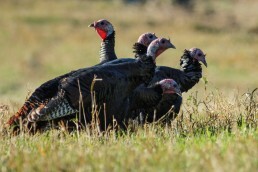 There was a yell of joy, some clacking and clanging, followed by the tent flipping over and Poppee dragging a 6-pounder out of the hole, literally. 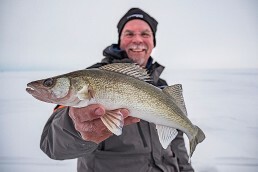 There he was out of the tent, backing up, reel jammed, dragging the walleye to the top of the hole up and over and flopping on the ice. 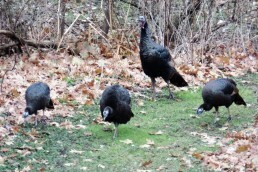 By the time I got to the crime scene, it was time to go back to my tent for the camera for documentation. Poppee’s reel “malfunction” problem was more of a reel “construction” problem. 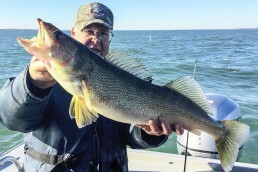 When we arrived at Saginaw Bay the night before, we realized that we had badly underestimated the adequacy of our tackle. So we stocked up with a couple of heavy, but cheap, rod and reel combos to tackle these monster walleyes. 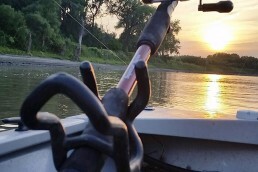 Cheapness had definitely not paid off for us since Poppee’s reel handle fell off and into the hole when he set the hook, leaving him to improvise. My problem occurred hours later when I set the hook and the rod snapped in half, forcing me to hand-line my fish up and out of the hole. A lesson was learned on this day: Don’t buy a $12 dollar walleye-ice combo. At last count, Poppee and I have 47 ice rods, 32 of them are the same model—obviously our favorite. This may seem like a lot of rods, but it’s not since there are two of us (so divide by 2 and you’ve got 23 1/2 rods a piece. Not so bad.). Once you find a rod that’s right for you, you should definitely get a few extra. The thing is there are dozens of species to try for, different depths to fish in and different styles and weights of ice lures for the different depths. There are species-specific ice rods for specific situations. 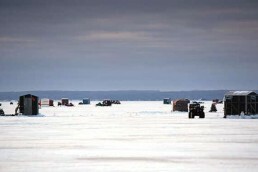 If you’re a serious ice fisherman, you know this. A while back, Frabill had the same idea and came up with the Ice Hunter Series of rods with the idea that you need different lengths and actions of rods specifically to tackle all favorite species through the ice. 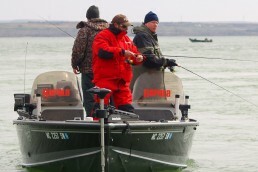 So they enlisted the help of eight top ice fishermen to help design the perfect rods. Somehow Poppee and I ended up in the design of a bluegill rod since we were the “so-called” bluegill experts. At the time I was in my Black Ratso phase. I had only used a size 10 Custom Jigs & Spins Black Ratso for two years, catching thousands of bluegills, crappie, bass and perch on this single wonderful lure and a magical rod and reel combo. The reel didn’t matter so much, but the rod was the bomb. I found it in the summer of ‘98 on a wall next to the bathroom of Greg Dickson’s Tri-angle Bait & Tackle in Antioch. 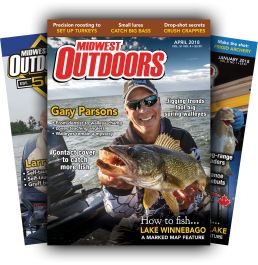 Greg looked at me kind of strangely as I purchased two-dozen walleye leeches and an ice rod in August—but I didn’t care. When I remembered that I had bought that rod three months later and found it broken under a pile of tackle still in the van, I was sad. But the tip and a few feet of the rod blank were still good, so I sliced the foam handle in half, pulled out the busted part, stuck the good part back in the foam and taped it off to finish the magic stick that would years later become the Walt & Poppee 26-inch quick-tip bluegill rod in the Ice Hunter series. When I got the first prototype, I was in my Red-Glow, size 12 Gill Pill phase. The Gill Pill was a new Custom Jigs & Spins lure that our buddy Troy “Mr. Bluegill” Peterson had come up with that had “just a little more action” for big bull bluegills. The red glow was a new color that somehow worked well in all clarities of water, night or day. I put this lure and rod to the test for the next few days. 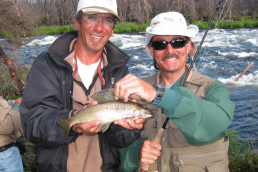 Choosing the right rod will help you catch all species of fish. On a private pond, I caught dozens of bluegills, crappies and largemouth bass. It was a crazy day—one for the ages—as the fish bit all day long and into the night. The next day I was with my buddy “Cowboy” Kevin and hooked into a giant flathead catfish on that lure and rod that would become a world record! 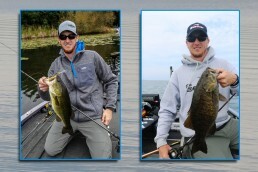 The rod and lure were put to the test that weekend for sure. Over the next few years, we amassed 32 of these rods and caught every species of fish from bluegills to walleyes to channel cats. The key to the rod is its quick-tip action. 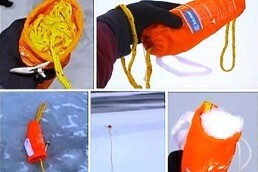 It has a firm backbone, but a soft, quick tip. In shallow water, when we use light lures like Demons, Two-Spots, Purests, as well as tiny, size 12 Ratfinkees and Gill Pills, we add Frabill’s Spring Bobber to the tip. It gives a nice bobbing motion when you jig your jig. When fishing heavier jigs like Tungsten Chekai and Majmuns, larger Ratfinkees and such, we will use this rod with Frabill’s Titanium Spring Bobber. It gives a little firmer bob to the jig than a traditional coiled spring. 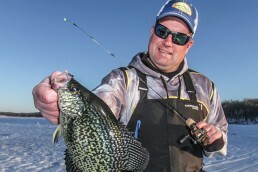 For heavier panfish jigs and light walleyes, and white bass and bass fishing, we use the quick-tip rod “as is”—it has a sharper snap to the jig you are jigging and imparts a wicked action. 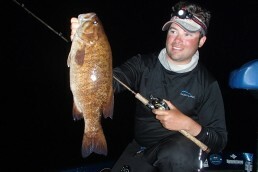 Other rods in the Ice Hunter Series we really like are Dale Strochein’s 26-inch, medium walleye rod. 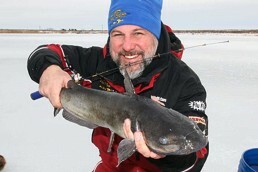 It is perfect for fishing Slender Spoons, especially with PowerPro Ice Line. It gives a nice snap to the spoon, yet has enough backbone for walleyes, bass and catfish. 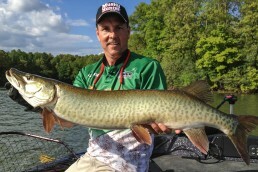 We also like Jeff Gustafson’s 38-inch, heavy rod for Great Lakes walleyes and other large predators like pike and lake trout. 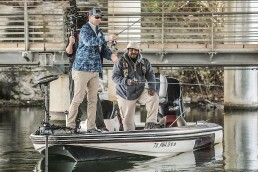 These Ice Hunter rods are super-sensitive and extra strong. 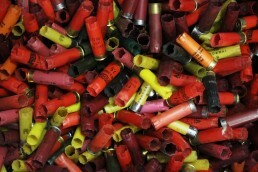 The only time we ever had one snap was when I closed the tip of my bluegill rod in the rod case! 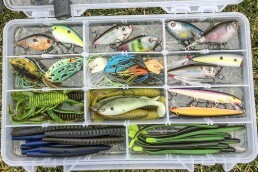 Walt Matan and his father Poppee are the chief lure designers for Custom Jigs & Spins. 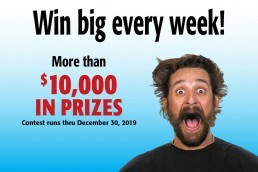 For more information on ice fishing and to see all of Custom Jigs & Spins tackle log on to customjigs.com or call 800-831-5535 for a free, all-new catalog. 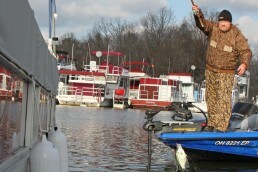 You can also log on to frabill.com to check out the Ice Hunter Series rod and reel combos and the Sentinel one-man tents. 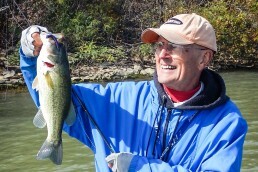 Walt Matan has been a writer and television host for MidWest Outdoors for 30 years. 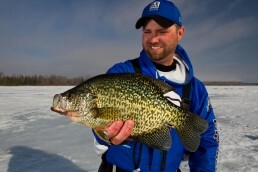 An avid ice and open-water fisherman, he currently lives in the Quad Cities on the shores of the Mississippi River. 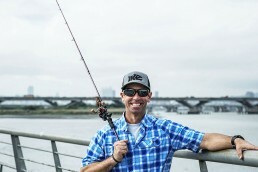 He is the product developer and brand manager for Custom Jigs & Spins, B-Fish-N Tackle, and Rippin Lips Catfish Tackle. For more information visit customjigs.com.